This toy has multiple uses; besides a baby rattle and plush toy, this deer is also a display ornament in Christmas spirit decor. Thanks to its discreet loop, you can hang the rattle from the Christmas tree, making it a statement piece. 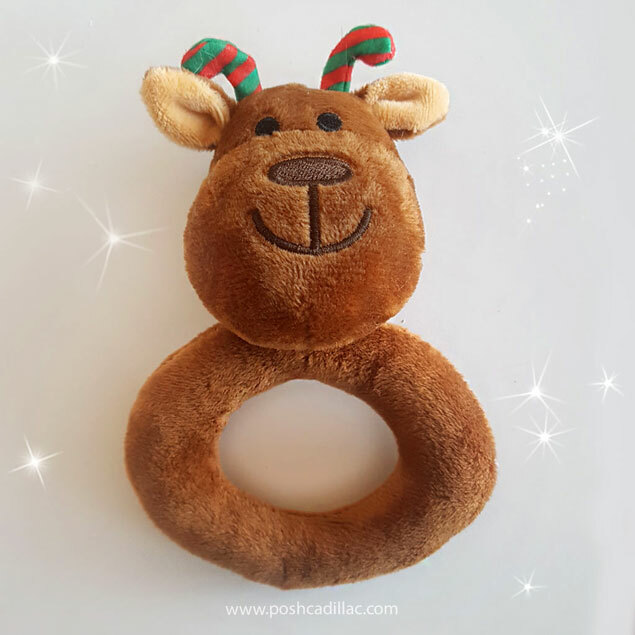 A 3 in 1 gift that will be treasured and displayed through the holidays, making it ideal for baby shower gift, christening, baptism or 1st Xmas gift to a happy baby that will enjoy using this to also teeth and still value it as an interactice toy!